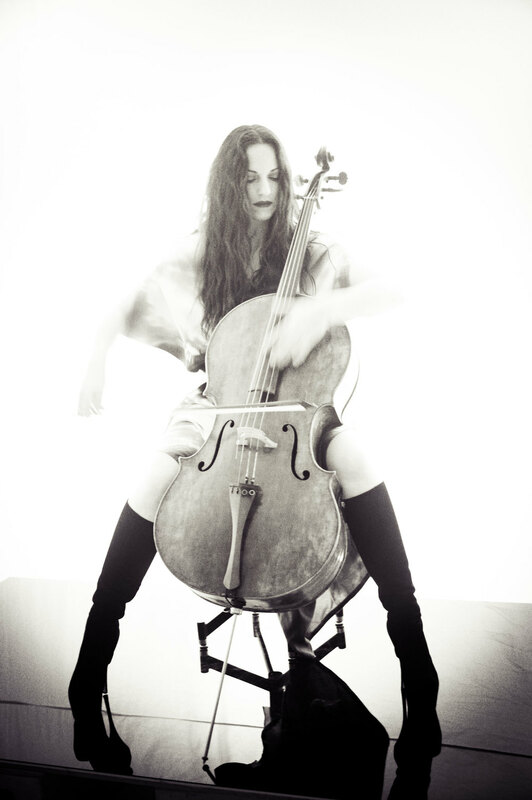 Cellist Maya Beiser defies categories; Passionately forging a career path through uncharted territories, she has captivated audiences worldwide with her virtuosity, eclectic repertoire, and relentless quest to redefine her instrument’s boundaries. The Boston Globe declares, "With virtuoso chops, rock-star charisma, and an appetite for pushing her instrument to the edge of avant-garde adventurousness, Maya Beiser is the post-modern diva of the cello." Raised in the Galilee Mountains in Israel, surrounded by the music and rituals of Jews, Muslims, and Christians, while studying classical cello repertoire, Maya has dedicated her work to reinventing solo cello performance in the mainstream classical arena. A featured performer on the world’s most prestigious stages including Lincoln Center, Carnegie Hall, Kennedy Center, London’s South Bank Centre, Sydney Opera House, and the Beijing Festival, she has collaborated with a wide range of artists across many disciplines, including Brian Eno, Philip Glass, Shirin Neshat, Steve Reich, David Lang, Tan Dun, Robert Woodruff, Bill Morrison, Evan Ziporyn and Osvaldo Golijov, among many others. Maya’s 2012 production, Elsewhere: A CelloOpera, premiered at Carolina Performing Arts followed by a sold-out run at the BAM Next Wave Festival. Her latest project All Vows explores the dichotomy between the physical, external world and the inner landscape of our secret selves and premiered at the Yerba Buena Center in 2014. Beiser is currently touring All Vows worldwide. Upcoming performances include BAM 2015 Next Wave Festival, London’s Barbican Hall and the Ojai Music Festival. Invited to present at the prestigious TED main stage in Long Beach CA, Maya’s 2011 TEDtalk has been watched by close to one million people and translated to 32 languages. In 2013, she was a featured guest alongside such luminaries as Yoko Ono, Marina Abramović, and Isabella Rossellini at ICASTICA, a festival celebrating women working in artistic fields in Arezzo, Italy.